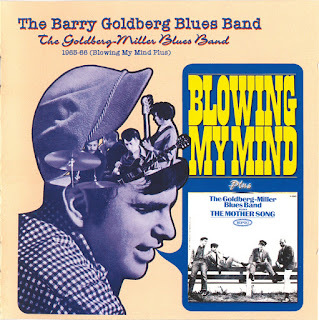 This is the first long-player from '60s blues keyboardist Barry Goldberg (organ/piano/vocals). His early association as Bob Dylan's organist during Dylan's electric debut at the 1965 Newport Folk Festival garnered Goldberg ample exposure. Within a few months he had teamed up with Steve Miller to create the Goldberg-Miller Blues Band. Although the combo were signed by Epic Records and cut a pair of 45s, Miller headed for the flourishing San Francisco psychedelic music scene and left Goldberg and the remnants of the short-lived Goldberg-Miller union to their own devices. In addition to the 10 tracks on the album Blowing My Mind (1966), the Goldberg-Miller Blues Band also recorded "The Mother Song," and "More Soul, Than Soulful," which appear on the 2003 release Goldberg-Miller Blues Band 1965-66. Goldberg is then joined by the likes of Roy Ruby (bass), who contributed to some early Michael Bloomfield recordings, and Maurice McKinley (drums), whose musical rap sheet included a previous stint with Rahsaan Roland Kirk. The combo also featured the respective talents of Harvey Mandel (guitar) and Charlie Musselwhite (harmonica). One of the most evident factors in the success of the Barry Goldberg Blues Band is the impeccable ensemble work as they propel through a blend of effective originals as well as an atypical combination of cover material. The title track is a mid-tempo Goldberg/Ruby tune that features a slightly edgy feel, reminiscent of Dylan's "Positively Fourth Street." 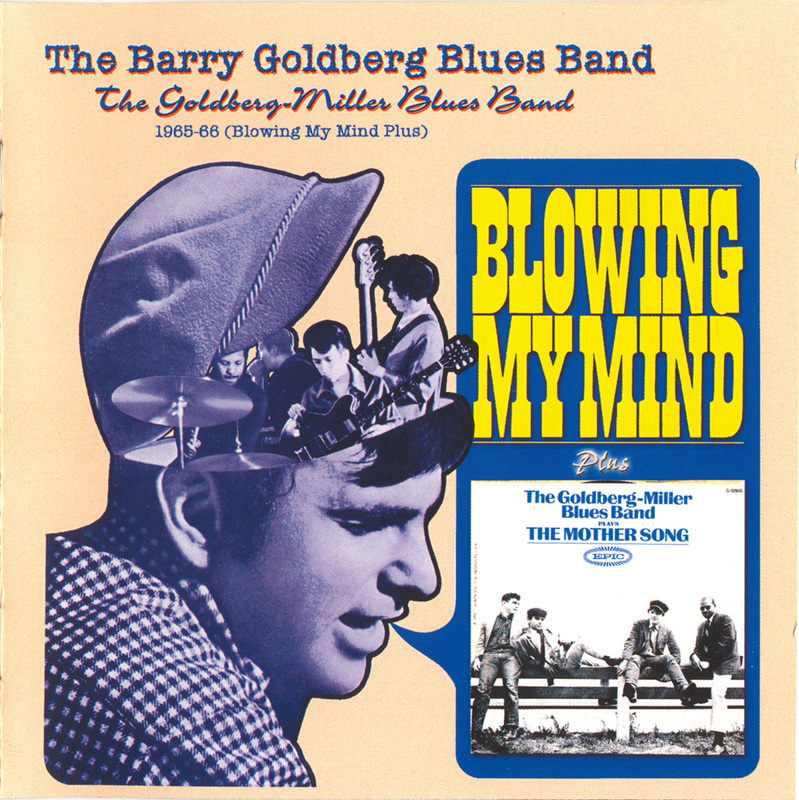 "Whole Lotta Shakin' Goin' On" and "That'll Be The Day," are both recommended reworkings that perhaps best exemplify the bluesy synthesis that defined the Barry Goldberg Blues Band, at least on this initial effort. Rather than attempting a note-for-note recreation, they fuse their own blend of electric blues into the well-known and already established melodies. 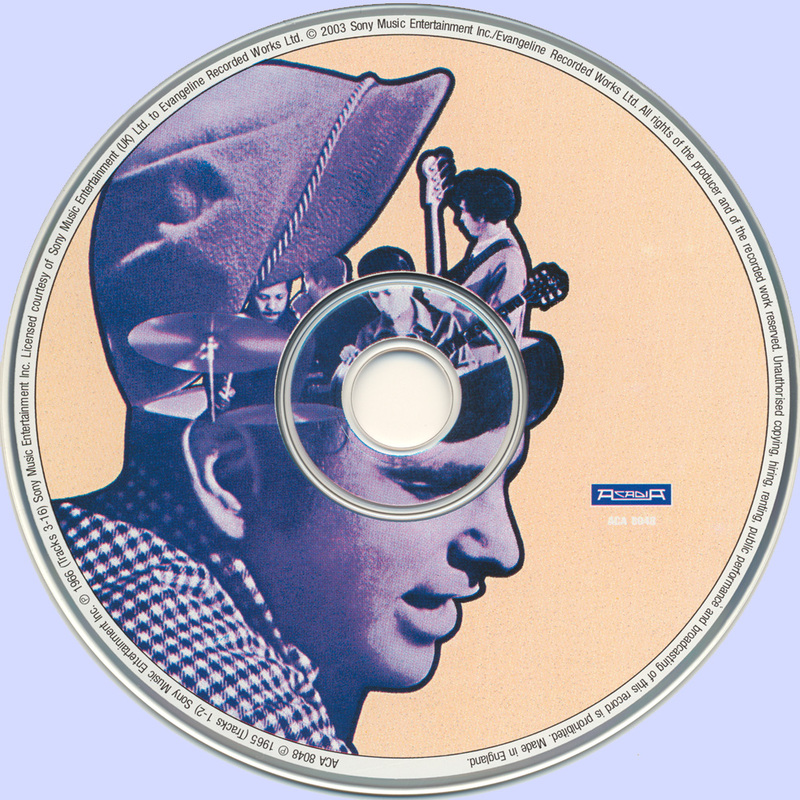 The same holds for the cover versions of Jimmy Reed's "Can't Stand To See You Go" and Jimmy McCracklin's seminal side "Think." 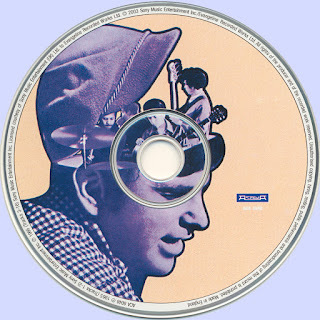 One non-LP outtake is also included, a strong rendering of Geoff Muldaur's "Ginger Man."